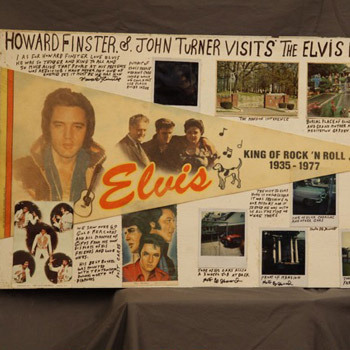 The Taubman Museum of art is pleased to present Happy Birthday, Howard! 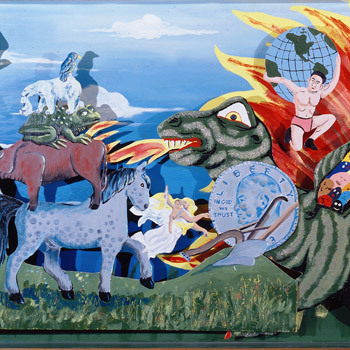 The Amazing World of the Reverend Howard Finster celebrating the 100th anniversary year of prolific outsider artist Howard Finster and his indelible mark on the world of art. 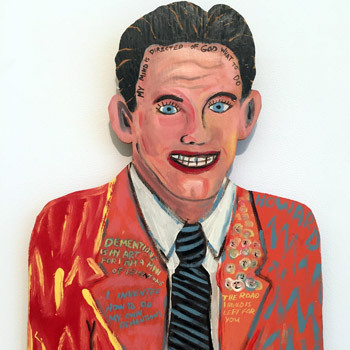 Finster (American, 1916-2001) was an artist, poet, preacher, musician and visionary who rose from a hard life as one of 13 children on a rural Appalachian family farm to become the internationally celebrated figurehead of the “outsider” and “contemporary folk” art movements. 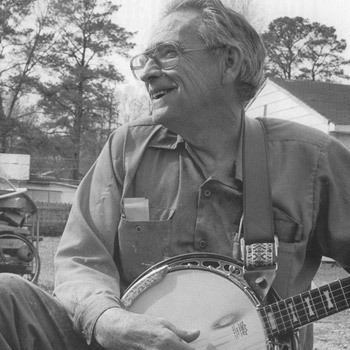 Describing himself as a “man of vision,” “second Noah,” and “God’s garbage man,” he was largely self-taught in all things (family pressures forced him to leave school after the sixth grade). Finster received “a call” to preach at the age of 15 and served as a tent revivalist and circuit rider evangelist. 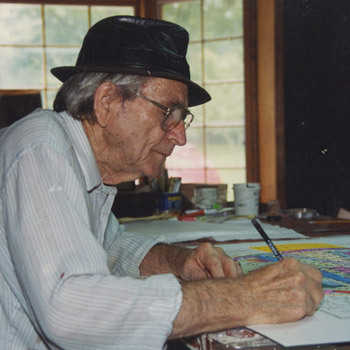 Referring to himself as a “master of 22 trades,” Finster traveled throughout the South observing and then incorporating roadside attractions, revivalist educational banners, and the illustrations that accompanied the biblical, technical, news readings, and modern advertising in his artwork. 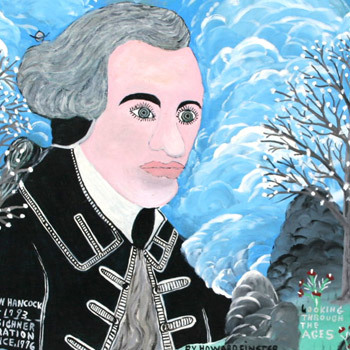 Eventually they all came together in a personal aesthetic - a sort of postmodern “backwoods pop” that bridged the gap between traditional, regionalized pre-war folk art and the multifaceted art worlds of late 20th-century America. His art combined with his personality captivated an international audience of art students and teachers, filmmakers, music fans, critics, historians and scholars. Their recognition and support served to cement Finster’s place as one of the late 20th-century’s most celebrated and influential artists. Happy Birthday, Howard! 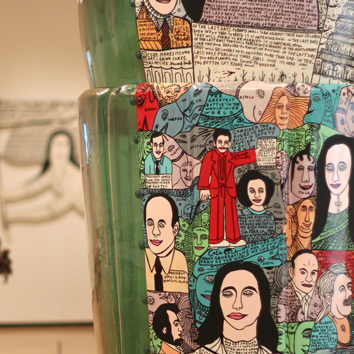 The Amazing World of the Reverend Howard Finster is curated by Amy Moorefield, Deputy Director of Exhibitions and Collections, Taubman Museum of Art, and Brian Sieveking, Adjunct Curator of Outsider Art. Funding has been provided in part by Sally and Walter Rugaber. This exhibition is on view September 17, 2016, through January 15, 2017, in the Medical Facilities of America Gallery and the Temporary Exhibition Gallery.